Voting now open for the 2019 Anna Dewdney Read Together Award Winner! Penguin Young Readers, the Children’s Book Council, and Every Child a Reader are partnering for the 3rd Annual Anna Dewdney Read Together Award in honor of the late Anna Dewdney (1965-2016), author and illustrator of the beloved Llama Llama series. Voting will run from Feb. 28 to March 28 and an online ballot is now available. The winning author and illustrator will receive a prize of $1,000 from Every Child a Reader, and Penguin, Dewdney’s publisher, will purchase and donate 250 copies of the winner’s book to a school, library, or literacy organization of the winner’s choice. Email shaina.birkhead@cbcbooks.org for further questions. Anna Dewdney was the New York Times bestselling author and illustrator of Llama Llama Red Pajama. Other award-winning books in the series include Llama Lama and the Bully Goat, Llama Lama Time to Share, Llama Llama Misses Mama, Llama Llama Holiday Drama, and Llama Llama Mad at Mama. She was also the author/illustrator of Nobunny’s Perfect, Roly Poly Pangolin, and Grumpy Gloria. Anna worked as a rural mail carrier and taught at a boys’ boarding school for many years before becoming a full-time author and illustrator. Anna was a committed advocate of literacy, speaking regularly on this topic and publishing articles in the Wall Street Journal and other national outlets. Penguin Young Readers Group is one of the leading children’s book publishers in the United States. The company owns a wide range of imprints and trademarks including Dial Books, Dutton, Grosset & Dunlap, Kathy Dawson Books, Nancy Paulsen Books, Penguin Workshop, Philomel, Puffin, G. P. Putnam’s Sons, Viking, Razorbill, Speak, and Frederick Warne. These imprints are home to such award-winning, New York Times- bestselling authors as, Laurie Halse Anderson, Jay Asher, Judy Blume, Jan Brett, Eric Carle, Ally Condie, Roald Dahl, Tomie dePaola, Sarah Dessen, Anna Dewdney, John Flanagan, John Green, Oliver Jeffers, Marie Lu, Mike Lupica, Richelle Mead, Richard Peck, Ruta Sepetys, Jacqueline Woodson and dozens of other popular authors. Penguin Young Readers Group is also the proud publisher of perennial brand franchises such as the Nancy Drew and Hardy Boys series, Peter Rabbit, Spot, the Classic Winnie the Pooh, The Very Hungry Caterpillar, Madeline, Mad Libs, the Rangers Apprentice, Skippyjon Jones, Who Was?, and Flower Fairies among many others. Penguin Young Readers Group is a division of Penguin Group LLC, a Penguin Random House company. 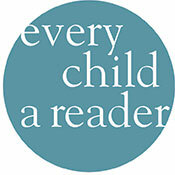 Every Child a Reader creates and supports programs that strive to make the reading and enjoyment of children’s books an essential part of America’s educational and social aims. 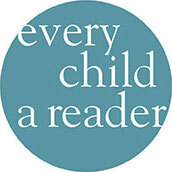 The cornerstone programs are: Children’s Book Week, the Children’s & Teen Choice Book Awards, The National Ambassador for Young People’s Literature, and Get Caught Reading.